Sponsored by the American Daffodil Society. Thank You to everyone who contributed to our Fund Raising Campaign for a New ADS Server! Please Click Here for Details. 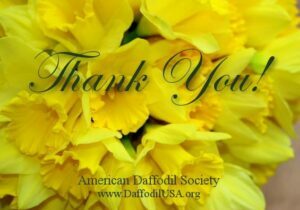 Copyright © 2019 American Daffodil Society. All Rights Reserved.